The well-loved and ever popular Country Fest takes place this weekend on Saturday 2 and Sunday 3 June. Celebrating 10 years this year, Country Fest is a fantastic family event, with delicious food and drink, countryside activities, children’s workshops, daring stunt displays, live music and plenty more for the whole family to enjoy. This year will see the Lloyd South Lakes Arena host Fell Pony displays, historic cars, classic motorcycles and Terrier Racing plus the exciting Jason Smyth Adrenaline Tour Motorbike and Quad Stunt Show. 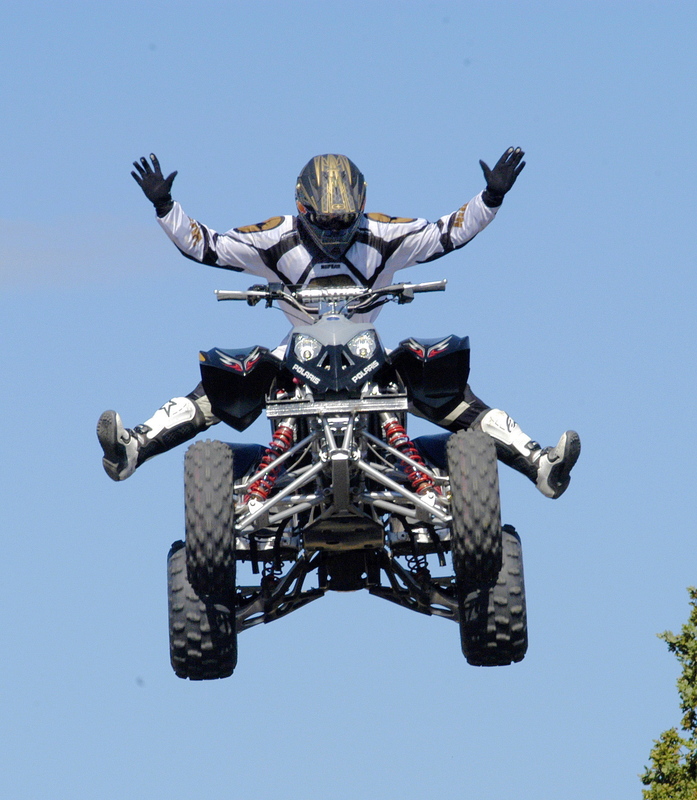 Starring ex-world championship moto-cross rider Jason Smyth, the display is crammed with spectacular tricks on various quad bikes, motorbikes and is unique. Appearing in the McClures Food Theatre this year will be 2018 MasterChef Finalist, Moonira Hinglotwala, Mike Hall the Ivy Cottage Baker from BBC’s Top of the Shop fame, well-known local chef Gary McClure and talented local chefs from The Samling, The Black Swan and Andy Arnold Bennett from Shed 1 Gin Distillery in Ulverston. For the first time, Flowers North West, part of The National Association of Flower Arranging Society’s (NAFAS) will be holding its 2018 Floral Art Competitions with a theme of ‘A Lakeland Fantasy’. With three demonstrations daily by Flowers North West’s top designers and hands-on workshops on both days, the stunning flower displays offer visitors a very imaginative and diverse exhibition. Another first this year will be the opportunity for visitors to recycle their used paper cups. The Westmorland County Agricultural Society has worked in partnership with James Cropper PLC, South Lakeland District Council, Cumbria Waste Group and Cumbria County Council to introduce this initiative. Visitors hand in their used cup to a centrally located collection point or to any of the hot drinks providers, where they will be collected and taken to the recycling plant at James Cropper PLC to be recycled into items such as carrier bags for well-known store Selfridges. Following a successful first year in 2017, the Sew Crafty Marquee is returning with craft workshops held throughout the weekend. People will have chance to hand make a poppy to be displayed in the Westmorland Remembers Marquee at the County Show, plus don’t miss the Scarecrows all lovingly handmade by local Primary School children. The popular Food Zone will once again be offering locally produced delicious food to try and buy, so all you foodies out there need to make this a go to destination. The AGA Bake a Cake Competition sees a wide range of categories this year and the WI Marquee is celebrating Inspirational Women as it acknowledges this year marks 100 years since the Suffragettes won the right for women to vote. Animal lovers will love the Westmorland Veterinary Group Companion Dog Show, Terrier Show and don’t miss the Poultry Show on Saturday and Rabbit Show on Sunday. The Discover Farming Marquee is a great place to learn more about farm animals with a chance to see them up close and is always popular with younger family members. Christine Knipe, Chief Executive of the Westmorland Agricultural Society, said: “We are so pleased to be celebrating 10 years of Country Fest, which just goes to show how this great family event is so well loved. We are delighted that Jason Smyth is appearing this year and I advise everyone to reserve their place early to see this amazing stunt show where audience participation is greatly encouraged! Held at the Westmorland County Showground, Crooklands LA7 7NH.